THE BLACK MUSE is guest in international concert halls or realizes artistic performances. In Europe, as well in Asia, she touches her audience with her mystical and powerful own compositions. Martina Stock combines acoustic sounds with electronic elements to create a unique sound experience. 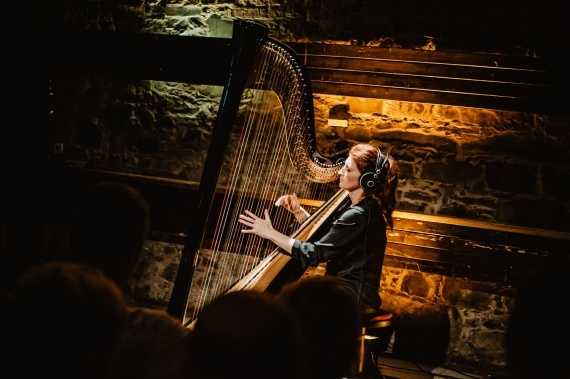 With her instrument she tells wonderful stories, with her touching and expressive way of playing, she creates an atmosphere that invites to daydreaming. Immerse yourself in a magical world of sound that stimulates and decelerates at the same. Classic meets contemporary - arranged for all the senses.